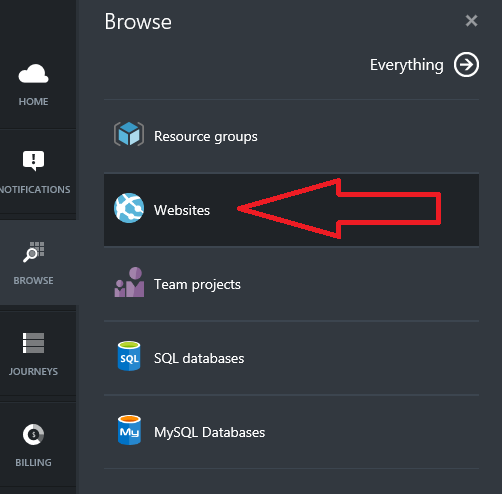 Another (Equally Cool) Way to Build Your Own SCOM MP Store! 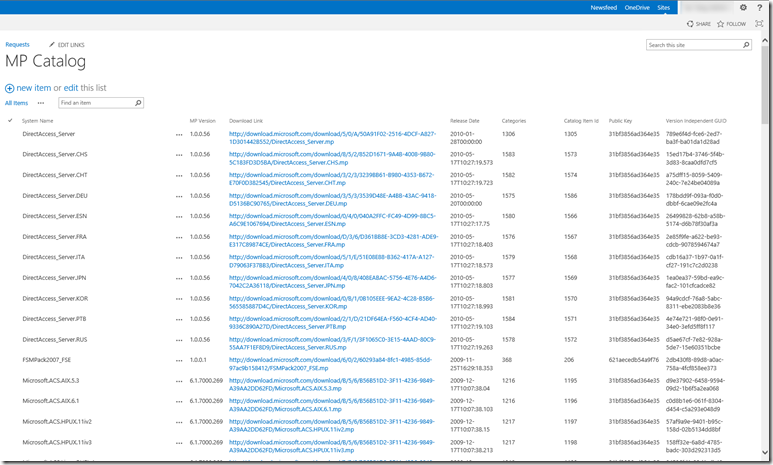 Following on from my recent post about building a SCOM management pack catalog using SharePoint or SharePoint online, Microsoft's Dirk Brinkmann has put together his own solution to help you download, categorize and then store all of your management packs in one handy and automated way. A big thanks to Dirk, Tao and the rest of the guys for their work on bringing these solutions to the community! This is essentially a cross-post to highlight some of the awesome work that my buddy Tao Yang has been working on in his spare time. You can also get access to MP's by performing a quick Google (Bing) search for the MP name or by searching the Microsoft Download Center site. The Microsoft Pinpoint site used to be a one-stop-shop for all your Microsoft (and even some approved third-party vendor) management packs and if nothing else, it was a handy place to go and quickly download what you're looking for. Check out Tao's walkthrough on how to get this up and running here. Not content on delivering an internal version of his private catalog, he then got to work on creating a similar solution up in Microsoft Azure using Azure Automation and SharePoint Online as his preferred model. You can see this second awesome post here. 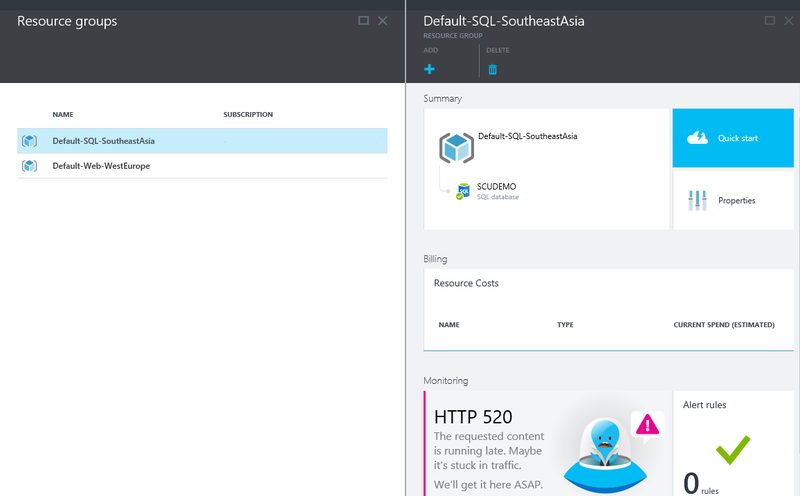 Whether or not you ever intend on actually deploying your own SCOM MP Catalog onsite or off-prem, what Tao has done shows the automation extensibility that comes with both SMA and Azure Automation. I highly recommend you take a read over both posts as there's some very useful information and scripts that can easily be used or tweaked for different purposes to suit your needs. Microsoft has just released a new download for their Cloud Platform Integration Framework (CPIF) for the Modern Datacenter. 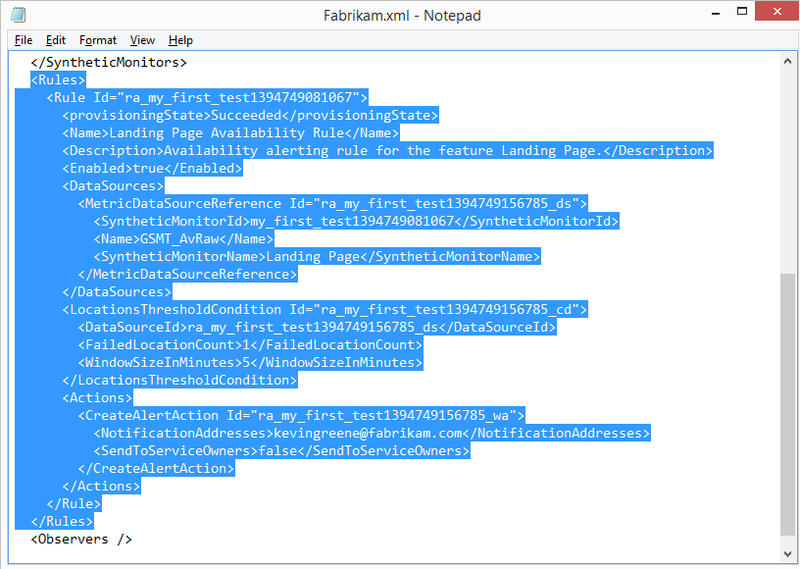 The download contains six documents (twelve if you count the fact that each one comes in both PDF and Word format) that delivers integration guidance for onboarding your applications into a Microsoft Cloud Solution. 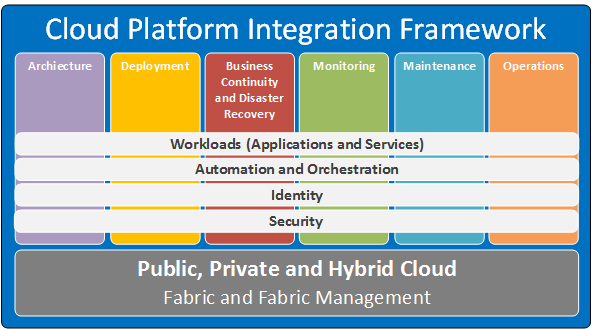 "CPIF describes how organizations, Microsoft Partners and Solution Integrator's should design and deploy Cloud-targeted workloads utilizing the hybrid cloud platform and management capabilities of Azure, System Center and Windows Server." "By integrating these functions directly into workloads, “platforms” can be developed which allow for further configuration by tenants to implement extended software services." If so, then download the CPIF here. 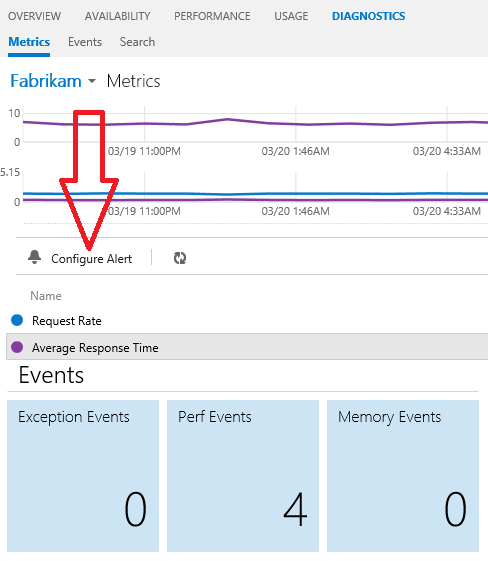 My good friend Marnix has just blogged a very interesting post about a really slow performing SCOM console issue that he was having at one of his customer sites. After a lot of searching to try and resolve the issue, he came across some information about editing the default 'Max Degree of Parallelism' setting inside the SQL instance that was hosting the SCOM databases. 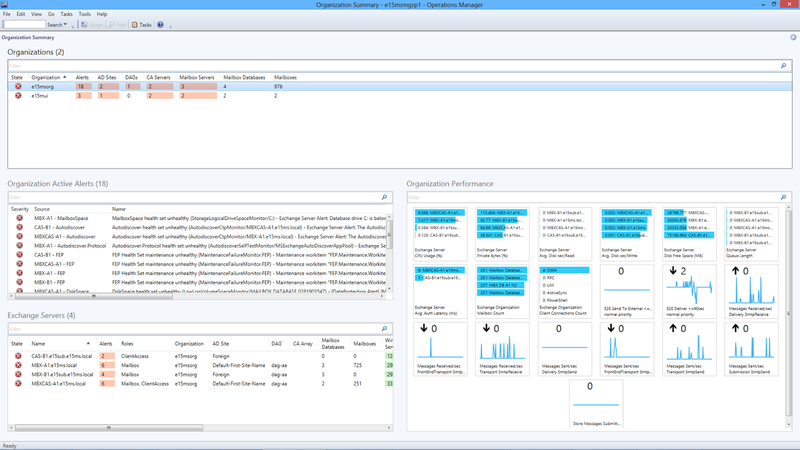 When he modified this SQL setting, the difference in performance of the SCOM console was HUGE! He even had staff at the customer site come up to him to see what he had changed because the difference in performance was so noticeable! Now halt for just a second! Some MVP's modified this setting and encountered performance gains. 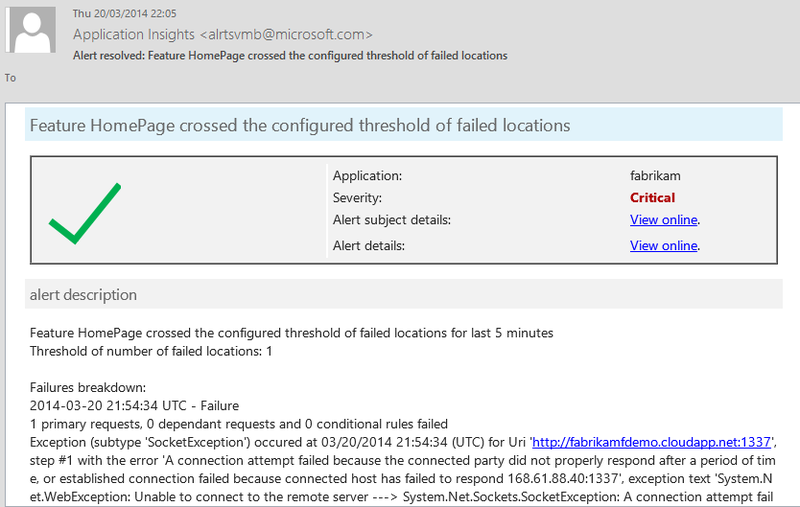 Other MVP's made the change and saw either no difference, or even a drop in performance of the SCOM console. A very well respected Microsoft employee working in the SCOM space also chipped in with his thoughts and made some interesting observations about how modifying 'Max Degree of Parrallelism' in the same way that each MVP saw gains in their console performance SHOULD NOT make any difference whatsoever! Another point was also made that, modifying this setting 'MIGHT' help with performance when using HyperThreading on VMware with CPU Gang Scheduling. Then make your own judgement call on whether or not you modify the setting. My view on this is that if you're already having bad SCOM console performance issues, then you've got nothing to lose by first bench-marking how long it takes you to open the console and perform certain tasks, then making the change to SQL and comparing the new performance load times with their originals. If you see much of a difference for the better, then you could be on to a winner - if not, then just change the setting back to it's default value of '0' and you're back to where you started with no harm done! The team over at Microsoft Press have been busy putting together another free eBook for your System Center reading pleasure. 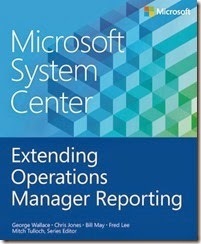 This one is 122 pages of goodness on how to work with and author reports in your SCOM environments. 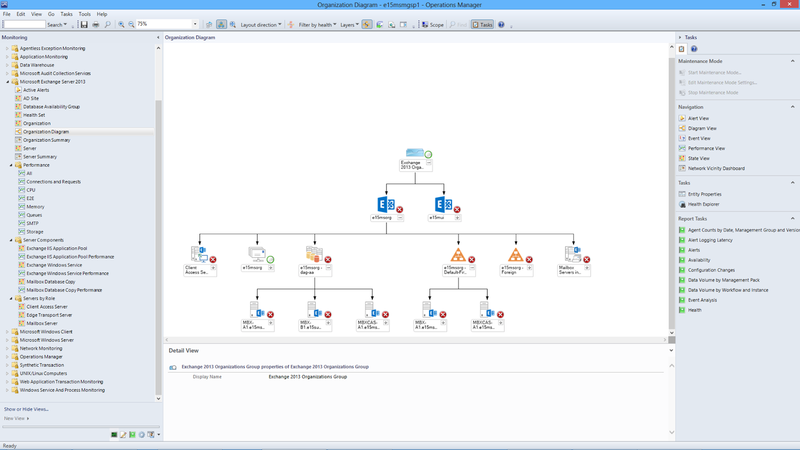 The System Center Operations Manager data warehouse stores many objects, making it possible to report on performance, availability, configuration, and security. You can use data collected by Operations Manager for issue tracking, awareness, planning, and forecasting, all of which are important factors for maintaining and managing your environment. But understanding what to report on and how to do so is what actually contributes to the stability of your infrastructure. 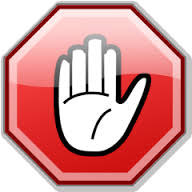 If you're not using the data you collect about your environment, you're simply wasting space. If you use Operations Manager to monitor your environment, whether your infrastructure or a public, private, or hybrid cloud, this book is a good resource to help you understand the basics of reporting and how to build queries and stored procedures for your reports. It can also help you understand the various elements of Operations Manager management packs that are used when you create reports. The book was authored by George Wallace, Chris Jones, Bill May, Fred Lee, edited by Mitch Tulloch and had contributions from Kevin Holman and Alban Montanera. If you are in any way serious about delivering deep-level and easy-to-consume reports back to either your own or your customer SCOM deployments, then this book is as good a starting point as any to get you going. Oh, and did I also mention it's FREE! Download the book in your electronic format of choice from the Official Microsoft Press Blog here. 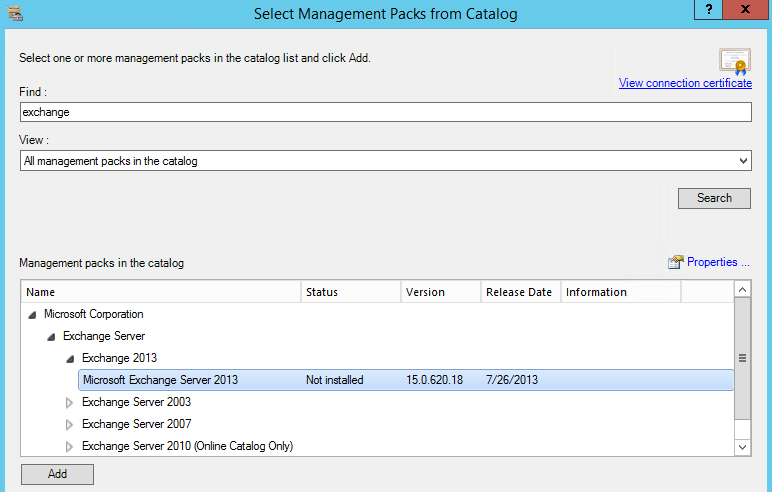 Just Released - All New Exchange 2013 Management Pack! 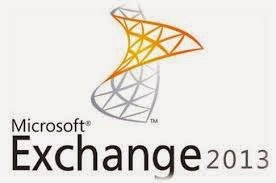 Microsoft has just announced the release of an updated version of their Exchange Server 2013 Management Pack for SCOM and it's a world apart from its predecessor. The original iteration of this MP was released over a year ago and was one of the most underwhelming management packs that we've seen in a long time. 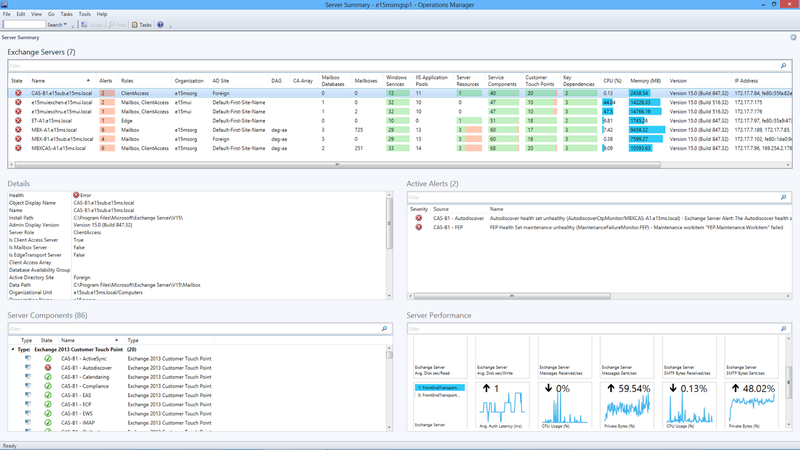 For whatever reason back then, a decision was made to leave most of the monitoring of Exchange Server 2013 to itself in a kind of 'self-monitoring' role. This decision then resulted in us getting an MP that barely gave us more than an 'Up or Down' overview of our newly deployed and on-premise email systems - which meant that in a lot of cases, people didn't even bother installing the MP into SCOM at all. 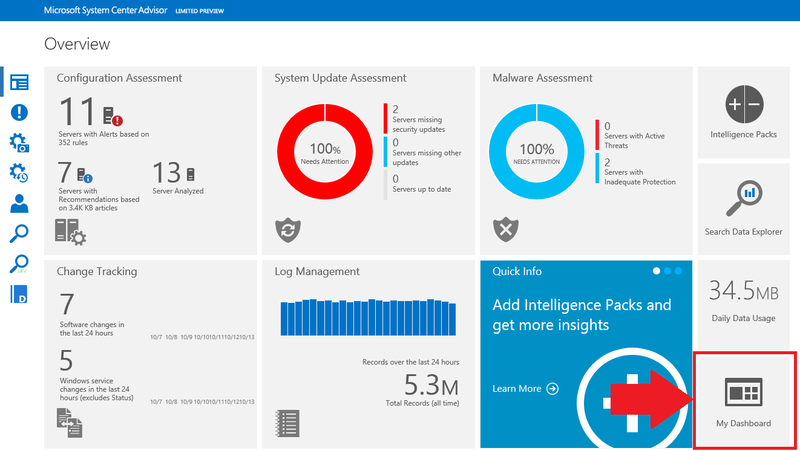 Thankfully, the team over in Redmond that are responsible for working on SCOM management packs listened to feedback from customers and the community and put their resources together to come up with this all new and improved MP. 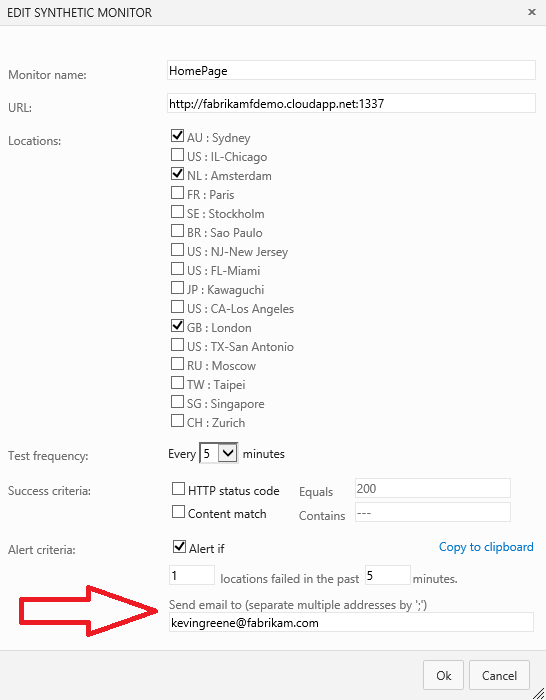 In a world where we're being told that hybrid-cloud is the way to go, it didn't make sense for customers that were deploying hybrid email scenarios (Office365 for some off-prem and Exchange Server 2013 for on-prem) to not have a fully centralized monitoring solution for them. This new MP thankfully should ensure that Exchange and SCOM admins alike will want to get this deployed and managed inside their SCOM deployments now. Note: I always recommend to only use the built-in catalog option if you want to quickly deploy your MP's into a lab as you don't get easy access to the MP guide when using the direct download link option. As is the case with all SCOM management packs, it's crucial that you read the MP guide from front to back (RTFM!) to ensure you understand everything that the MP monitors out of the box and how to get any discoveries turned on or off. You can get more info on this new MP from some of my fellow MVP's here and here or you can check out the official announcement here. Finally, a huge well done should be given to the MP team led by Daniel Savage that got this MP updated and released - I can see a lot of deployments putting this into production now - thanks! System Center Universe Europe 2014 Presentations Now Live on Channel9.com! The great team over at System Center Universe (SCU) Europe have just announced the availability of all the presentations that were delivered over the three day event last month up on Microsoft's Channel9.com. 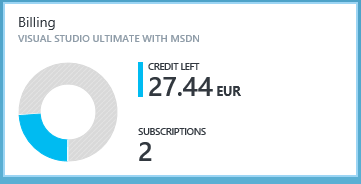 So, between these sessions and the upcoming TechEd Europe ones that should be available from next week, I think I'll have enough to download to keep me occupied on the plane journey over and back to Seattle when I head to the MVP Summit in a couple of weeks! 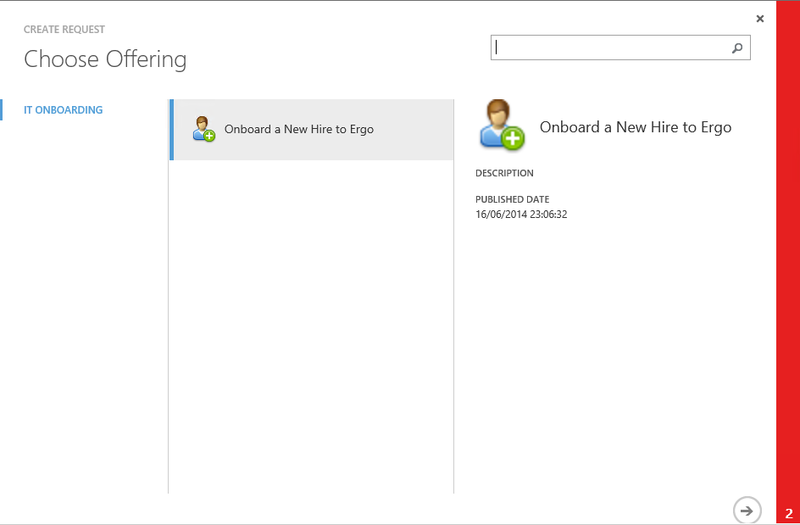 System Center Advisor Just Got Even Better! When I'm working with customers delivering System Center projects, a key component of those engagements always revolves around visualizing the data that we gather through the various products in the suite. 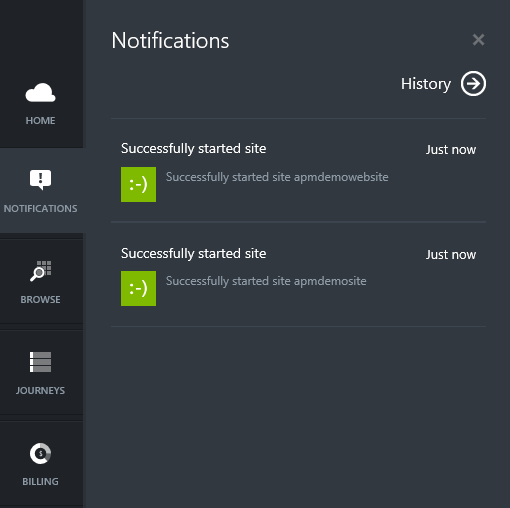 Unless you've been living under a rock for the past few months, you should have noticed the buzz that's starting to build around the new System Center Advisor platform - which is currently available as a limited public preview here. 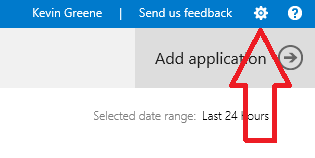 Even though Advisor is in preview, we've deployed it for a few customers when we wanted to super-charge SCOM 2012 R2 and get an extra edge on best practices and recommendations around some new (or even problematic) IT services that they were monitoring and it hasn't disappointed! 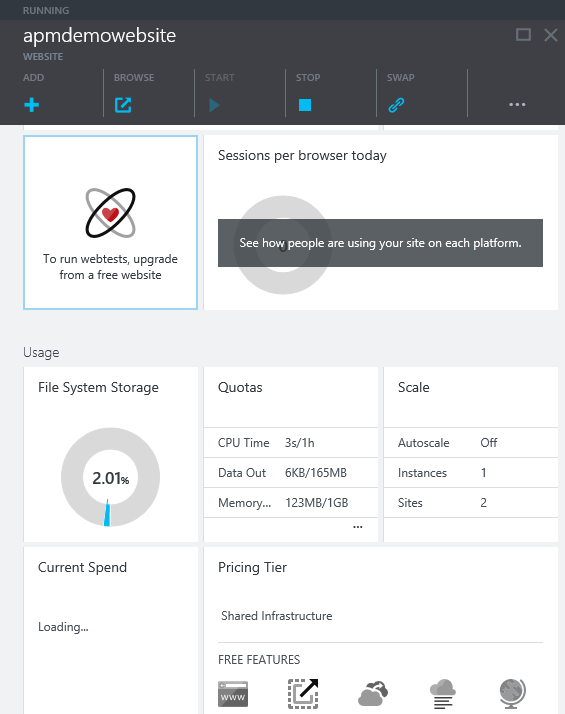 Anyway, similar to the speed at which the Microsoft Azure team are releasing updates to their platform, the SC Advisor team are doing their own hard work to make it better and better each week. An example of this is yesterday's announcement by Joseph Chan that now empowers Advisor users to create their own custom dashboards and visualizations on-the-fly. So, if you want to get started with these new visualizations today, then first have a quick read over Joseph's full post from the link below, then you should have everything you need to know to enhance your monitoring solutions even more than before! 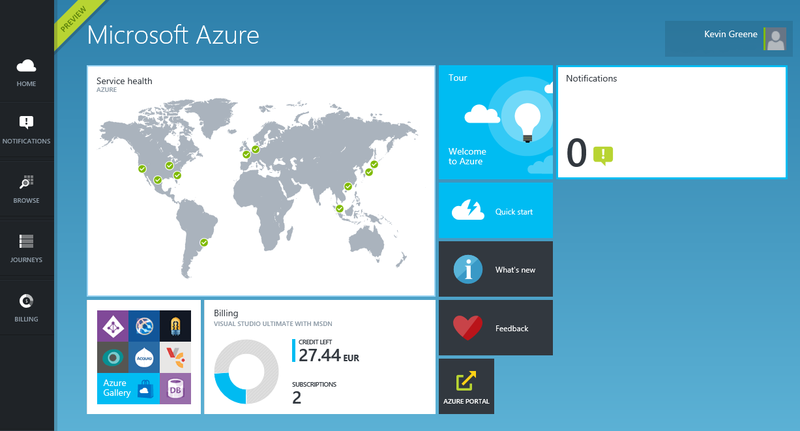 Awarded Microsoft MVP 2014 for Cloud and Datacenter Management! I've just seen 'the email' that all MVP's anticipate every 12 months - which is when their existing MVP is up for renewal. I'd nearly forgotten that today was my own renewal day as I was busy delivering some webinars on DevOps to the community. Thanks to all my friends and colleagues that I've worked with and shared knowledge on CloudOS with over the last year - it's great to see the 'Number of MVP Awards' counter on my profile go up by one each year! I'll be at the MVP Summit in November and if you've been renewed or are a first time MVP awardee, then we might catch up over there for a beer! For now though, I'll just bask in my own glory for an hour or so! Tomorrow (October 1st) and Wednesday (October 2nd), I'll be delivering two webinars in conjunction with Savision to discuss the content of our recently released free whitepaper titled: "From Dev to the Datacenter"
During the webinars, you'll see some cool demo's that should help to reinforce how System Center, Visual Studio Online and Savision can work with you to support your DevOps scenarios. We'll also leave some time for Q & A so feel free to drop by and hit us up with any questions you have on these awesome technologies. You can find more information on registration for either webinar here and if you haven't yet had a chance to download and read through the free whitepaper, then you can do so from this link. Hope to talk to you all then! Things have been pretty quiet on this blog lately due to all my spare time being taken up with some really cool projects in work, preparing for my two System Center Universe Europe presentations and putting the finishing touches to a whitepaper collaboration that I've been working on with Savision. 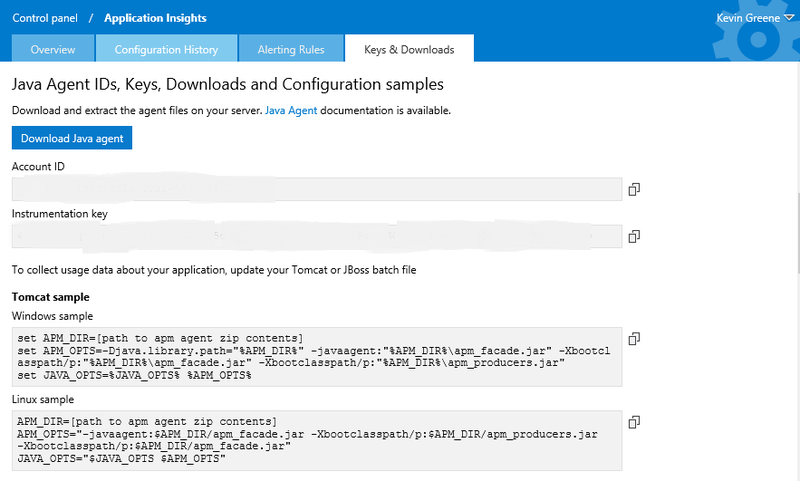 "When your critical business applications start performing badly, it’s often difficult to quickly pinpoint whether the problem lies with the infrastructure or the developers’ code. 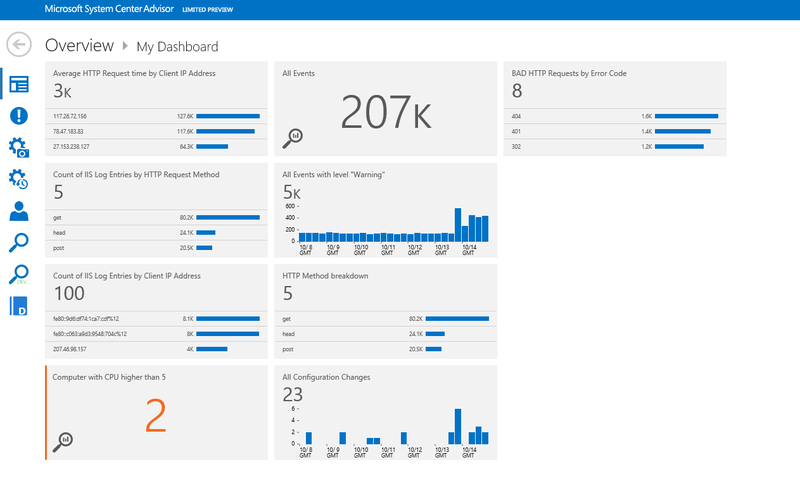 If you’re tired of trawling through consoles and log files full of alerts to find the root cause of a service outage, then this white-paper will show you how to leverage Microsoft’s System Center and Visual Studio Online cloud solutions to get a full 360 degree view of your applications. With this knowledge, you’ll gain the confidence to work with your developer teams to bring a rapid conclusion to your application problems." Targeted at both IT Pro's and Developers, the aim of this whitepaper is to bring about a better awareness of how we can use components of Microsoft's CloudOS story to help make everyone's life a little bit easier! When I return from System Center Universe, I'll be working with Savision to deliver two live webinars where we're going to expand a little on the topics covered in the whitepaper and we'll also give people an opportunity to get their questions answered. 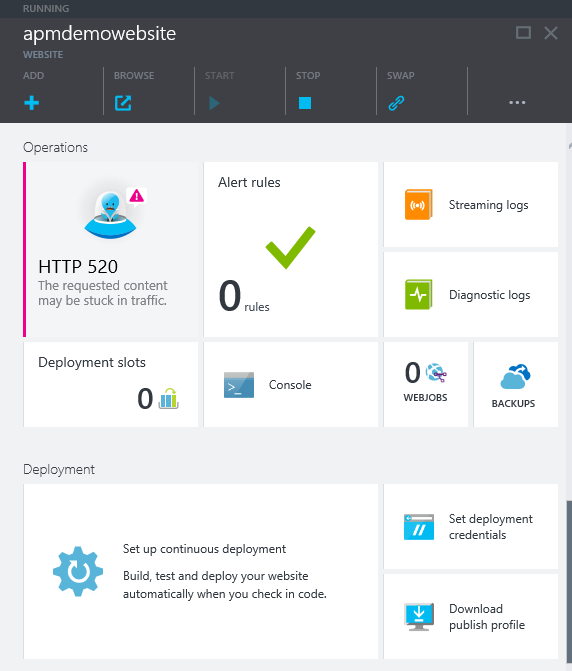 Hope you like the content and if you're attending System Center Universe next week, make sure to check out my 'Hybrid Cloud DevOps with APM' presentation to see some of this cool stuff in action! Well, after a few weeks away from work on vacation, I've finally managed to filter through the majority of my unread emails and Twitter feeds. 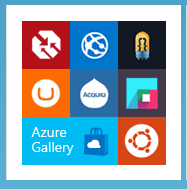 What I've come across from browsing through just a few short weeks of them is a number of very useful and cool updates and community offerings for System Center 2012 R2, Windows Azure Pack, Azure and Windows Server 2012 R2. 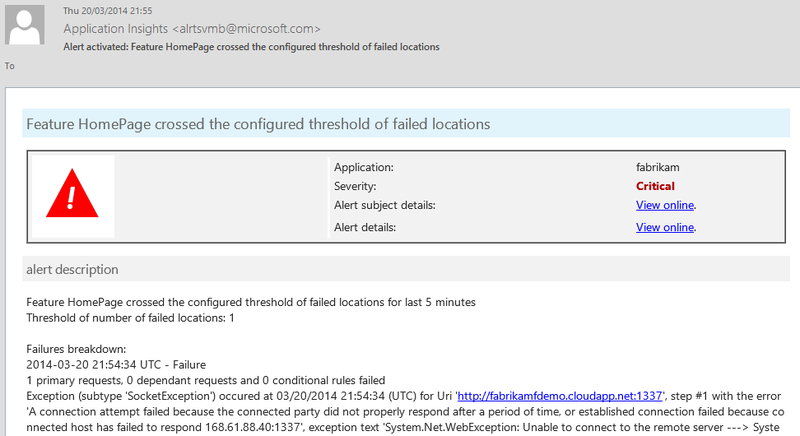 System Center Advisor - Limited Preview: Saved Searches, Cloud Attach Status and Usage, and more! The System Center Universe 2014 Europe session planner is now online! Registration for ITDevConnections in Las Vegas is Open! So that's it in a nutshell for now - and although it's not a comprehensive list of everything that's been happening over the past month or so, there's still a lot of very impressive community content around CloudOS. Day 1 for our TechCamp 2014 event has just finished and each session had a great turnout of attendees. Microsoft Ireland's Art Coughlan kicked off with a keynote speech on how Microsoft can help people with their journey to the cloud and he gave some great real-world examples of well known global brands using Cloud Technologies such as Azure, Hyper-V and System Center. After the keynote this morning, Aidan Finn gave a really interesting session on Windows Server Storage Spaces and Scale Out File Servers. He walked through building the solutions in his demo step-by-step to give people an idea of how easy it is to get started. The final presentation of the day saw Aidan get back up for more heckling as he spoke about this time on Hybrid Cloud using Microsoft Azure. Some really interesting demo's delivered to the audience configuring public-cloud VM's and virtual networking on the fly. That wraps up Day 1, tomorrow's track of 'Software as a Service' should be a blast! After the success of our last TechCamp 2013 event, a week from tomorrow (Thursday 19th of June), we kick off TechCamp 2014 in Dublin's Citywest Hotel and Conference Centre. This year we've decided to span the event out over two days and into two separate tracks - Hybrid Cloud & Software as a Service - and we have an awesome line-up of speakers presenting on some very relevant topics. I'll be delivering a session on Day 1 for the Hybrid Cloud track titled - 'Service Automation using System Center'. 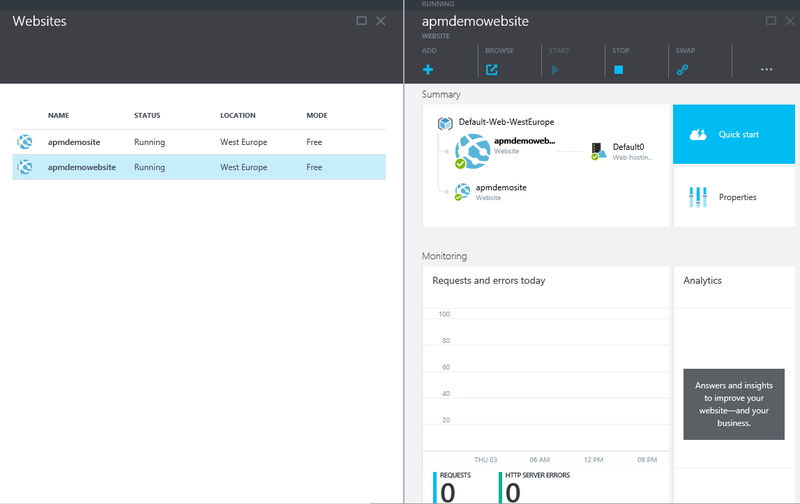 In it, you can expect to see some (hopefully impressive) demo's around System Center, Windows Azure Pack and Service Management Automation (SMA). Day 1 also sees me share the stage with two good friends and excellent presenters - Aidan Finn and Damian Flynn. Aidan will be talking about Storage Spaces, Scale Out File Server and Hybrid Cloud and Damian will be digging into the new and seriously cool Windows Azure Pack in his presentation. On Day 2 (Software as a Service), Nathan Winters - author, former Exchange MVP and now working for Microsoft UK - will be talking about Office365 Exchange & Lync. Later in the day there's a presentation from Sean O'Farrell - a colleague of mine in Ergo - who's making a lot of noise in the Office365 community and he'll be talking about using Office365 SharePoint & Yammer in the real world. Bob is an SQL Ranger/MVP/MCA/MCM/Maestro - so if you're interested in learning something new about SQL you'll definitely want to listen to what he has to say! His session is titled 'Power BI for Office365' and is sure to be filled with plenty of demo's and useful insights. Like at TechCamp 2013, all proceeds from ticket sales are going to the very worthy charity - Camara. Also, none of the sessions will be recorded or streamed so if you don't attend, you don't get to see the sessions online at a later date - not to mention missing out on some excellent networking opportunities with peers and presenters alike. So, like Aidan says - Don’t Be An IT Dinosaur – Attend TechCamp 2014 On June 19/20! After a few weeks away from blogging due to work and family vacation time, I thought it was about time I got the laptop out and started talking about my visit to TechEd North America 2014. 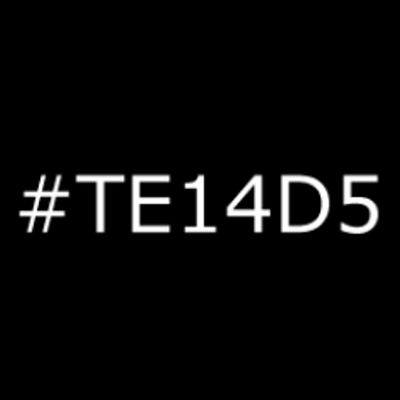 TechEd is Microsoft's flagship conference aimed at the IT Pro and Enterprise Developer. It's a large scale event that will see thousands of nerds come together for the best part of a week of technical presentations and networking. For me, I'm a newbie when it comes to TechEd. Over the last few years, the Microsoft Management Summit (MMS) was where you'd find me hanging out as this was the place to be in the Cloud & Datacenter Management space. 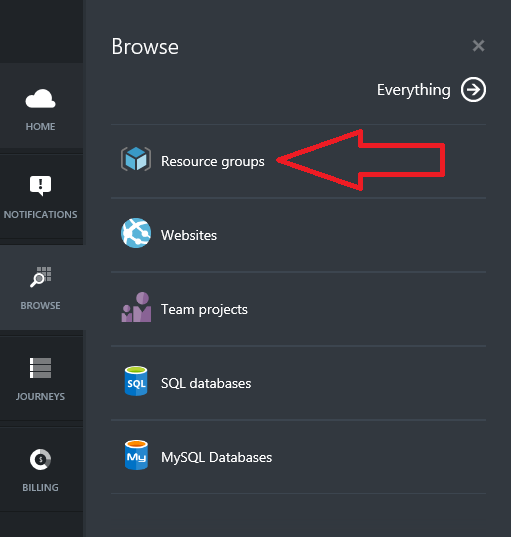 This year however, Microsoft have made a decision not to run MMS as a stand-alone event and to instead, integrate it into the TechEd conference to bring the whole CloudOS story to the table. 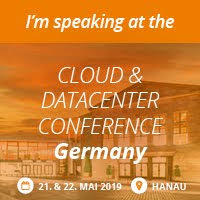 There's been a lot of debate over the past year about whether or not this was a good move by Microsoft and as a result, a number of newer Cloud & Datacenter Management focused conferences have gained prominence - System Center Universe and IT/Dev Connections for example. One things for sure, TechEd NA 2014 is completely sold out now and I guess a lot of people are expecting big things from the coming week due to the MMS integration so fingers crossed it'll live up to expectations! TechEd North America is being held in Houston, Texas this year and my journey over has started a few days early and taken a little bit of a detour on the way. The reason for this is that I have family living in south Texas that I haven't seen in a long time so thought that it'd be a sin if I didn't make the effort to visit - seeing as though I'm in the same state as them. That being said, Texas is the second largest state in the USA and is nearly three times the size of Ireland! I left my house on Wednesday morning at 6am with a drive up to Dublin, enjoyed a very comfortable flight over to Chicago, had a 4.5 hour layover there (hotdogs and beer are an excellent way to pass the time in Chicago airport), jumped on another plane to Houston and finally managed to check-in to a hotel close to George Bush International Airport close to 11pm local time. All-in-all it was approximately 21 hours total journey from when I closed the front door back in Ireland! 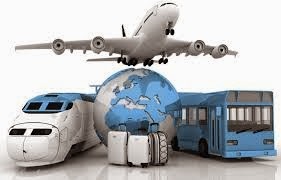 I then managed 5(ish) hours of sleep before getting back on the road with a shuttle bus over to the airport, a connecting train between two terminals and a short-hop 45 minute flight from Houston down to Corpus Christi. In stark contrast to the massive scale of the airport in Houston, the tiny one in Corpus Christi was more reminiscent of something that we're used to in Ireland - think Knock Airport and you'll get the idea! A final 45 minute drive down to Alice, Texas and I've reached my destination and base for the next few days. Hooking up with family and friends (of which I haven't seen in 13 years), consuming copious amounts of Mexican food and beer (this city is pretty close to the border and I'm known as a Gringo in these parts) - and life is good! On Saturday afternoon I'll be flying back up to Houston to meet up with all of my buddies that are starting to make their way over for TechEd next week. Also on Sunday, ten pre-conference sessions are kicking off TechEd NA 2014 and there's a nice mix of technical goodness between them to keep everyone happy. Tuesday, Wednesday and Thursday will follow pretty much the same agenda as Monday without of course a keynote presentation so it'll be a pretty full-on week of deep-dive sessions and fun. The graphic below shows the available tracks that attendees have to choose from for each day. I'll be keeping this blog reasonably up-to-date throughout the week based on some of the sessions, vendor offerings and new announcements that I've seen and heard. 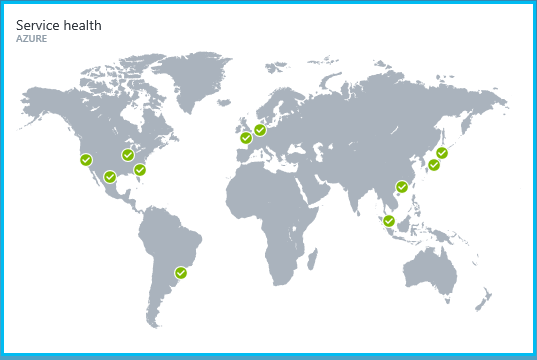 If you're looking for a live 'up-to-the-minute' update of some CloudOS sessions, then I highly recommend you check out my buddy Aidan Finn's blog over the few days that the event runs. Aidan always has some great tips and tricks to take on board when attending these conferences and loves to live-blog his way through the sessions he attends. Unfortunately for me I'll be returning home on the Friday - unfortunate purely from a nerd perspective but to be fair, I don't think I'd get a sick-note from my ever-suffering wife for any more than the 11 days I already have away from her and our two kids! As I booked my tickets so long ago in advance, I wasn't aware of the plans that my pals Cameron Fuller and Maarten Goet had put together to keep people entertained on a day when the official four-day conference ended. They came up with the ingenious idea that seeing as there would still be many attendees floating around Houston on Friday and many MVP's still there too, why not have a side-event uniquely titled 'Day 5', whereby a number of MVP's and community leaders would present some sessions that couldn't be squeezed into TechEd around two different tracks. 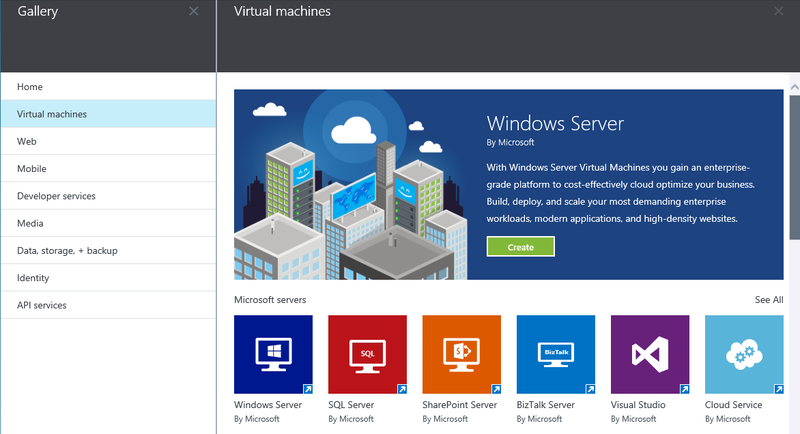 These tracks will focus on System Center, Hyper-V, Azure and Device Management. If you're around on the Friday and are looking to hear some of the best speakers around do their thing again, then you can still register for Day 5 here. So, that's it from me for now, if you're coming over to Houston, make sure to say hello if you see me rambling around and I'll be glad to try and answer any CloudOS questions you might have to help you get ahead in work.